Susane has extensive experience in both television and stage. She began her television career at WGBH PBS in Boston where she worked on the NOVA Science Series for three years. She came to NYC and spent twelve years working as a Producer and Writer for Channel 13/WNET. During this time, she travelled to more than 100 cities across the U.S., researching story ideas, finding experts in their field, and producing and writing one hour prime-time documentaries for PBS. Working with casting agents and attending talent showcases, she has auditioned countless actors for her series over the years. She has had the privilege of working with many talented actors including Roy Schneider, Matthew Modine, James Naughton, as well as many renown experts and filmmakers from around the world. She was the Co-Principal Investigator for two 'National Science Foundation' grants, one which awarded her $1.6 million for her multi-part PBS series. 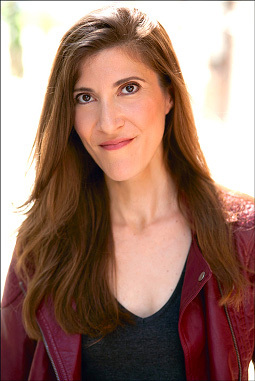 Susane is a Lifetime Member of the Writers Guild of America, East (WGAE) and, starting six years ago, produced and directed their popular 'Screenplay Reading Series.' Working closely with NYC casting agents and professional actors, she has directed these works on stage at both the JCC on the Upper Westside and at Lincoln Center's Elinor Bunin Monroe Film Center. Susane also started the WGAE's 'Writing Mentoring Program' in 2006, enlisting the Guild's members as mentors. For the pilot program, she worked with an organization for foster children. The teenagers wrote radio dramas which were broadcast on public radio WNYC. The Writing Mentorship is on-going today. Susane also led writing workshops in NYC public high schools. A member of the Guild's Activities Committee since 1997, she is involved in helping organize their annual awards dinners, benefit events, and other workshops. For Hudson Warehouse, she has produced their season since 2010. 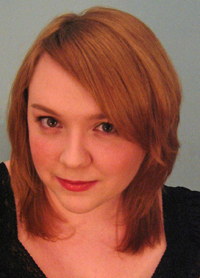 In November 2014, she directed The Warehouse's very first contemporary play, "Same River Twice," by Benjamin Elterman. In June of 2013, she directed The Complete Works of William Shakespeare, (abridged) for their summer stage and remounted it again the fall of 2013 at The Bernie Wohl Center on Manhattan's Upper West side, which marked the Warehouse's first indoor production. She wrote the adaptation for the Warehouse's August 2013 world premiere production of The Three Musketeers, based on the novel by Alexandre Dumas, for which she also Assistant Directed. In 2012, she directed their June production of Comedy of Errors as well as was Assistant Director of Richard III that August. Susane founded and is the Director of the Warehouse's 'Writers-a-Go-Go' (W.A.G.G.) contemporary play reading series which promotes the works of living writers with lively staged readings. She most recently directed a staged reading of Michael Menger's Sweet Morning in 2014 and Through Andrew's Eyes, written by Oscar Cabrera in the spring 2013. To date, W.A.G.G. has mounted 9 staged readings of new plays. She also teaches Acting and Playwriting at the Goddard Riverside Community Center for their senior center and After School. As part of the Warehouse's Outreach program, Susane has directed plays for colleges and schools. Susane was a Finalist for the 2013 Wai Look Award, given by the Asian American Arts Alliance for those who "outstandingly contributed to the arts." She also won an 'Urban Artist Initiative Grant for Literature' in 2006 and a 'New York Foundation for the Arts Fellowship' grant for Nonfiction Literature in 2005. 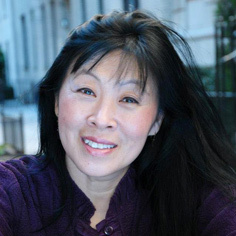 Susane published a memoir in the February 2010 issue of MORE Magazine entitled "The I Ching Daughter," available on-line. She is a member of SAG/AFTRA. It was his grandfather's cousin, playwright Edward Martyn, who along with W. B. Yeats and Lady Gregory of Poole, founded Dublin's Abbey Theatre. Mr. Martin-Smith has been the Artistic Director of the Hudson Warehouse since its inception in June of 2004. For Hudson Warehouse, he has directed among other plays Cyrano, Romeo and Juliet, the world premiere of a new adaptation of The Three Musketeers by Susane Lee, as well as Julius Caesar, the Warehouse's second indoor production in March 2014. Mr. Martin-Smith has worked for years as an actor, having appeared as Egeon in the Warehouse's 2012 production of Comedy of Errors as well as Lord Hastings in Richard III, which he also directed. Most recently he appeared in The Complete Works of William Shakespeare (abridged) which kicked off the 10th Anniversary Season. He then moved with the production indoors to kick off the Hudson Warehouse's 11th Season at the Bernie Wohl Arts Center. 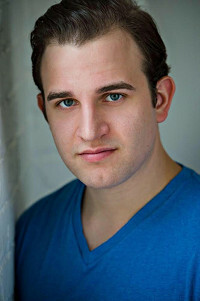 He most recently appeared Off-Broadway as Frank Deluca in The Rise of Dorothy Hale at St. Luke's Theatre and as Harrison Brent in Perfect Crime at the Snapple Theatre Center. Also Off Broadway as Angelo in Measure for Measure (Soho Rep), Mark Antony in Julius Caesar (Douglas Fairbanks) and as Antyphilus of Syracuse in The Comedy of Errors (Riverside Shakespeare Co.). He also appeared in New York as Claudius in Hamlet, the Duke of Cornwall in King Lear and as King Magnus in The Apple Cart, under the direction of David Scott, all at Theatre Ten-Ten. Other roles include Dr. Lvov in Ivanov at The Mint Theatre, Pentheus in Chuck Mee's adaptation of The Bacchae, and Lt. Charles in Renee Phillippi's adaptation of The Adding Machine at 78th Street Theatre Lab. Regionally he has appeared in The Tempest and Much Ado About Nothing both at Boston's Publick Theatre, and as Konstantine in The Seagull at the A.R.T. in Cambridge. He also appeared as Franny in Balm in Gilead, John Polk in Am I Blue, and in the title role of David Mamet's Edmond, all at the Alley Theatre Company. Television credits include, "Law & Order," "Another World" and "Spencer: For Hire." Film credits include "Picture Perfect," "Carlito's Way," "The Clothes Line" and "Boys Night Out". He received his B.F.A. from Tulane University and his M.F.A. from Brooklyn College where he was a graduate fellow. In addition to teaching at Brooklyn College, Mr. Martin-Smith has taught acting at Marymount Manhattan College, St. Francis College and at the American Musical and Dramatic Academy, as well as at his own studio. 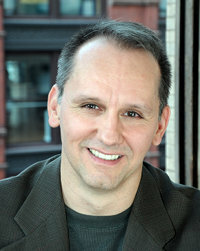 He is the recipient of the 'Monroe Lippman Founder's Award for Acting', and a 'Best of Boston Award' for his performance in the title role of David Mamet's Edmond. The longest serving member of Hudson Warehouse, this has been George's home and family for more than a decade. 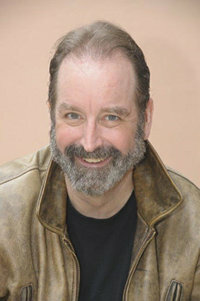 Originally from Maryland, George studied theatre at Montgomery College and realized his story telling capabilities unique to both the actor and the director. Starting in regional theater, George took on the title role in the Silver Spring Stages critically acclaimed production of Master Harold...and the Boys. George then moved to New York City to attend the American Musical and Dramatic Academy, graduating in 2006. Upon graduation, George was cast as Lord Dumaine in Love's Labour's Lost, his first role with Hudson Warehouse. 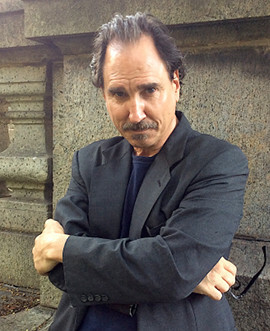 As an Artist in Residence with Hudson Warehouse George has taken on a variety of roles, from young lovers like Cassio in Othello and Romeo, to the more brooding and torn characters like Brutus in Julius Caesar, to the psychotic Emperor Saturninus in the 2015 production of TITUS as well as Jack Worthing in the 2014 production of The Importance of Being Earnest. Other Warehouse productions he has appeared in include The Merry Wives of Windsor, The Tempest, As You Like It, The Three Musketeers, Comedy of Errors, Richard III, The Complete Works of Wm. Shakespeare (abridged), Same River Twice, and a personal favorite - Prince Hal in Henry 4.1. Other favorites include the title role in the Haberdasher Theatre Company's production of Christopher Marlow's Doctor Faustus. In August of 2018, George will direct his first production for the Warehouse, bringing to the North Patio a lifelong vision of Hamlet. Nathan made his Hudson Warehouse debut in their 2015 production of Henry 4.1. He rejoined them in 2016 for their 13th season as Balthasar in Much Ado About Nothing and Ferdinand in Othello. He served as the Music Director for Much Ado About Nothing, Lysisarah: "Let's Make America Great Again! ", and Othello, and composed original music for their Othello. He has also been a part of the Hudson Warehouse Valentine's Day Monologue Festival and their staged reading of War of the Roses. Other favorite roles include Romeo in Romeo & Juliet, Florizel in The Winter's Tale, Lucas in The Doctor Despite Himself, Enjolras in Les Misérables, and Rick in Bat Boy: The Musical. Nathan recently starred in "Wanted," a short film that screened at the 2016 Cannes Film Festival. 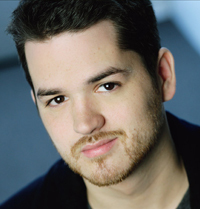 In addition to his work as an actor and music director, Nathan is a guitarist, singer, and oboist. Nathan grew up in the small town of Virgil, New York. He graduated with honors from Cornell University with a B.A. in Theatre Arts, and was a recipient of the Christopher Reeve ‘74 Scholarship. He also studied classical acting at the London Dramatic Academy under the tutelage of Kathryn Pogson, Zoe Waites, and Leo Wringer, among others. Roger Dale Stude (Director of 'Writers-a-Go-Go') is a small-town Missouri native who moved to New York City to study acting at the American Academy of Dramatic Arts. After graduation, he supported himself by working at the Drama Book Shop and continued his interest in classical theater at the Kings County Shakespeare Company, appearing over the years in their productions of The Beaux Stratagem, As You Like It, The Tempest, The Rover, The Rivals, and Romeo and Juliet. Roger also worked for the Pearl Theatre as an understudy in their productions of Mirandolina, The Phantom Lady, and The Merry Wives of Windsor. He is a founding member of True North Ensemble, and appeared for them as Bottom in A Midsummer Night's Dream and as Scrooge in A Bronx Christmas Carol. Also with True North he served as Assistant Director for their production of The Taming of the Shrew, and directed productions of Chekhov's The Proposal and David Ives' Arabian Nights. Mr. Stude's professional relationship with Nicholas Martin-Smith began at the Objectivist Theatre Company's Production of The Night of January 16th, and he was pleased to continue working with Nicholas as an actor with Hudson Warehouse, beginning in 2008 as Dogberry in Much Ado About Nothing, and following up with the Warehouse in, among others, Hamlet, Cyrano, The Seagull, The Taming of the Shrew, The Comedy of Errors, Measure for Measure, The Triumph of Love, Romeo and Juliet, and as Falstaff in Henry 4.1. Other New York credits include Caesar in Julius Caesar and Bushy in Richard II for A Crew of Patches, Chater in Arcadia, Gaston in Picasso at the Lapin Agile, and Sturman in The Clearing for Phoenix Players; Sorin in The Seagull for STEPS Theatre Company; and Claudius in Hamlet at LaMama. He also played Gulliver in Gulliver's Travels for an entire summer at the Swedish Marionette Theatre in Central Park, with puppets, but that's redundant. Since 2017, Roger has been Director of Writers-a-Go-Go (W.A.G.G. for short, though it is surprisingly difficult to type), the Warehouse's outreach to new writers and works. As Director, he co-produced the 2018 Valentine's Day program at the Goddard Riverside Bernie Wohl Center. He has also written, acted, and directed as part of this annual festival. He promises much more from W.A.G.G. to come. Paul Singleton (Equity Liaison) is an Artist in Residence, and has previously played King Henry in Henry IV, Part 1, Chorus in Henry V and Don Pedro in Much Ado About Nothing with Hudson Warehouse. New York Theater includes: Shakespeare at the Greene Space ‑ Brutus in Julius Caesar (New York Public Radio); Grit in a Sensitive Instrument (one-man play, Vineyard Theater – Cable TV also); When I Grow Up (lead, Playwright's Horizons Festival); Careless Love (by John Olive – NY premiere), The Winter's Tale, The Blue Carbuncle (also at Theatre Encino, Los Angeles). Regional includes The Tempest, Idiot's Delight, The Golden Age, Fallen Angels, The School for Scandal, P.S. Your Cat is Dead, Bedroom Farce. TV includes: "Conan O'Brien," "All My Children," "One Life to Live" and Comedy Central. Love always to Nina and Paulie. A Queens native, Grace first got involved in theatre tech while attending Vassar College, where she was heavily involved in student theatre for all four years there. Her credits there include blood and wound makeup design for Jean Anouilh's Antigone (Spring 2013), emergency costuming for The Merchant of Venice (Fall 2013), blood design and stagehand for Faustus (Spring 2014), blood and wound makeup for The Revenger's Tragedy (Spring 2015), blood design for Richard II (Fall 2015), and blood design for The Drunk and the Elephant (Fall 2015). She also worked as a wound makeup designer and quick change assistant for The Rocky Horror Picture Show on campus (Falls 2013, 2014, 2015), where she assisted in and then instructed on a quick change involving fishnets, corsets, and a full face of makeup that takes less than 50 seconds. After leaving Vassar, she worked at Hudson Warehouse as an Assistant Stage Manager for three seasons, including Lysisarah (July 2016), The Three Musketeers (July 2017), Henry V (August 2016), and Romeo & Juliet (June 2018). She also worked as blood designer for Hamlet (August 2018). She was recently Stage Manager for the Warehouse's recent production of Pride and Prejudice. When not working in the theatre, Grace enjoys street food and creative jaywalking, and has been an avid player of DnD 5e for almost 5 years. Bruce Barton appeared as Captain De Treville in the world premiere of The Three Musketeers which was part of Hudson Warehouse's 2013 10th Anniversary Season. He also appeared as the Archbishop of York in Richard III, Cardinal Pandulph in King John and as Leontes in The Winter's Tale. He has also appeared in New York City with the Blue Coyote Theater Group, Gorilla Rep, Jean Cocteau Rep, Judith Shakespeare Company, The Workshop Theater, The Supporting Characters, The Mettawee River Company and Theatre for the New City, as well as with a variety of regional theaters. David took on the title role of King Lear as part of Hudson Warehouse's 10th Anniversary Season. He first appeared with the Warehouse as Polonius in the 2009 production of Hamlet. Since then he has appeared as De Guiche in Cyrano, Lord Capulet in Romeo & Juliet, Sorin in The Seagull and Baptista Minola in The Taming of the Shrew. Also in New York, he has been seen as Sir George Crofts in Boo Arts' production of Mrs. Warren's Profession, Frank Elgin in The Country Girl at The New Actors' Workshop, Thomas Becket in Theatre St. John's production of Eliot's Murder in the Cathedral, and Trigorin in One Chair Productions No Weddings or Funerals at the End. He recently played the five male roles in the British Theater Guides 5-Star Rated production of Breaking the Silence at the 2014 Edinburgh Festival Fringe. 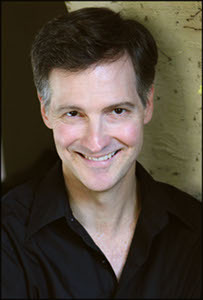 Regionally David has appeared in the title role in Dracula, with The National Players, Max Dupree in Knuckle with the Source Theatre, Agamemnon in Orestes' Trial with the Washington Shakespeare Theatre and Branch Rickey in The Most Valuable Player with The Kennedy Center Theatre for Young People. He is also a member of The Workshop Theater, where he has played Arthur in Sunday Afternoon, Richard Grayson in Moonlight & Love Songs, and the Son in The Antique Shoppe. 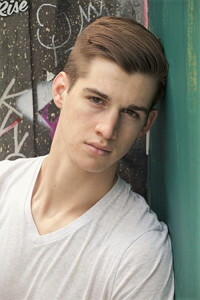 David has years of experience in stage combat, with rapier, rapier and dagger, small and broad sword. David has directed and also taught acting working primarily with high school and junior high school students and hopes to do more of that anon. David received his MFA from Catholic University. 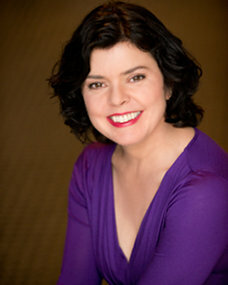 Patrina first appeared with Hudson Warehouse as Nell in the 2012 production of Comedy Of Errors. She returned in 2014 to play Cecily in The Importance of Being Earnest. This year she was a part of the Hudson Warehouse's "Many Faces of Love" Valentine's Day Monologue Festival. Most recently she appeared in Georgia Makes a Scene directed by Susane Lee as part of the 365 Women NYC One Act Festival at the Sheen Center. 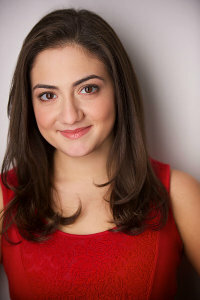 Patrina grew up in Westfield, New Jersey and graduated with honors from NYU's Tisch School of the Arts with a BFA in Drama and a minor in history. She received additional classical theater training at the Shakespeare Theatre of New Jersey and performed with Manhattan Shakespeare Project (all female Henry V) and Holmdel Theater Company (Hermia in Midsummer). She is passionate about theater for young audiences and was featured in the 2012 and 2013 New York Children's Theater Festivals. She was also featured in season three of HBO's "Boardwalk Empire." Patrina recently returned to NYC after two national tours with Artspower. She has now performed professionally in 27 states and hopes to visit all 50 before she turns 30. She is also a singer and some her favorite musical theater roles include Ado Annie in Oklahoma!, Sue Snell in Carrie: The Musical, and Thea in Spring Awakening. She would like to thank Susane Lee and Nicholas Martin-Smith for the incredible opportunity to call this theater company home. Emily Sarah Cohn, originally from Florida, has been living in New York for the past few years. Her roles with Hudson Warehouse are Molly Molloy in His Girl Friday, Kitty in The Three Musketeers, Chea in Trojan Women, and Cordelia in Hamlet. She performed in Trojan Women at the Bronx Jail with the Warehouse. She has also performed in Hudson Warehouse's Valentine's Day Monologue Festivals. 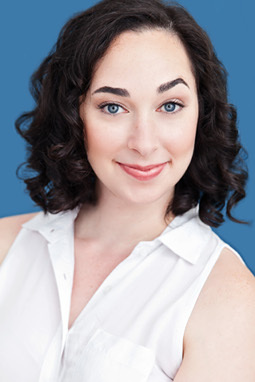 Other Favorite roles include Company in The Theory of Relativity (Goodspeed Opera House) and Sheila in HAIR (Andrews Living Arts), Emily received her BFA in Music Theatre from The Hartt School and has also completed both the Sketch and Improv programs at Upright Citizens Brigade. Karen Collazzo made her debut with Hudson Warehouse as Ann Smoulder in Lysisarah: "Let's Make America Great Again!". She then had the opportunity to play Hildy Johnson in His Girl Friday with Hudson Warehouse, in one of her favorite roles and it was an Amazing experience she will always treasure. Since then, she has appeared with Hudson Warehouse as Milady de Winter in The D'Artagnan Romances: Part 1 The Three Musketeers, Elise in Trojan Women, Queen Anne in The Three Musketeers: Twenty Years Later and most recently as Player Queen in Hamlet. Regionally, Karen has appeared in a variety of productions such as Theresa in Circle Mirror Transformation, Caroline in Something Cloudy, Something Clear, Kate in Taming of the Shrew, Katherine in Henry V and Bobbi Michele in Last of the Red Hot Lovers. Mr. Demenkoff wrote the adaptation of Anton Chekhov's The Seagull which he directed for Hudson Warehouse's 2011 season, he also served as the Assistant Director and Musical Director for the Warehouse's 2010 production of Cyrano. Mr. Demenkoff has appeared twice with Hudson Warehouse, as Nick Bottom in A Midsummer Nights Dream and in the title role of Macbeth. A graduate of Ithaca College, Mr. Demenkoff debuted in NYC with the original Broadway productions of both Godspell and Grease and has worked as an actor in over 100 productions regionally as well as in New York and Los Angeles. Television and film credits include: "General Hospital," "Law & Order," "Fantasy Island," "Eight is Enough," "Ed," "100 Centre Street," and, of course, the Troma cult classic "Surf Nazis Must Die." He directed Romeo and Juliet for Shakespeare in the Parking Lot, won regional honors for A Few Good Men, 1776 and Equus; and received three international film festival awards for his documentary "The Children of Izieu," which aired on PBS. Mr. Demenkoff helps spearhead the Education and Outreach program of Hudson Warehouse. 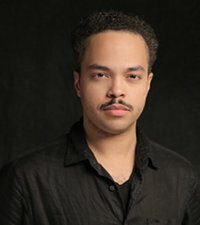 He is the Director of Outreach for the Stella Adler Acting Studio which has programs in both New York City, Los Angeles as well as Vieques, Puerto Rico. He served as the Artistic Director of PossibleArts Theatre Project, creating interdisciplinary playwriting and performance workshops for schools, correctional facilities and therapeutic communities. He has also taught at The Apollo Theater, LaGuardia High School and has served as the Artistic Director for arts programming at Harlem's A. Philip Randolph Campus School. Nick DeVita made his Hudson Warehouse debut as Malcolm in the 2007 production of Macbeth. Since then Nick has appeared in other Warehouse productions such as Much Ado About Nothing, The Tempest, A Mid-Summer Night's Dream, Trojan Women, Cyrano, and Romeo & Juliet. Mr. DeVita has also worked with The Williamstown Theater Festival under the artistic direction of Roger Reese in their 2006 season in their productions of Romeo & Juliet as well as the original workshop production of Bloody Bloody Andrew Jackson. 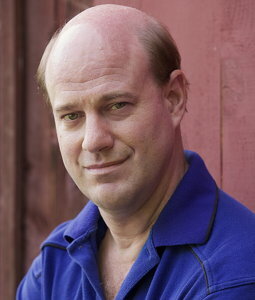 Mr. DeVita can be seen in a recurring role in Playstation 3's "It Only Does Everything" commercial series with Playstation spokesperson Kevin Butler as well as Best Buy and Geek Squad's on-line and television ad campaigns. Mr. DeVita has studied at the American Musical Dramatic Academy as well as the Upright Citizens Brigade Theater in New York City. A native of New Orleans, Jamie‘s first role with Hudson Warehouse was Maurice in the July 2017 production of The Three Musketeers. He followed that up with the role of Pistol in Henry V in August. Jamie has been very involved in the Hudson Warehouse education and outreach programs, particularly the programs in jails. He performed in the fall 2017's Veteran's Day Commemoration ‘World War II: The Story of Valor, Sacrifice, and Victory from "The Greatest Generation" and in February 2018, The Valentines Day Monologue Festival: ‘The Many Faces of Love,' both at Goddard Riverside Art Center. Jamie then was part of the group that brought both the Veteran's Day and Valentine's Day Monologues to perform in the New York City Correctional Facilities in Manhattan and Brooklyn to great success. Jamie is a Reiki practitioner, an avid Aikido martial artist and founder of Respectful Productions LLC, a film and television production company. Ron Hatcher hails from Montgomery County, MD where he was first bitten by the theater bug. His first onstage role was the Cowardly Lion in Westland Middle School's production of The Wizard of OZ. His dream of working as a writer-director in TV and film brought him to the world of entertainment technology in NYC where he met the men and women who make Hudson Warehouse the home for artists that it is. He eventually served as Stage Manager for Hudson Warehouse's The Complete Works of William Shakespeare: Abridged, and Lysisarah: Let's Make America Great Again! He performed on-stage in Vietnam: Soldiers Tell Their Stories 40 Years Later, and the UWS Community Read of James Baldwin's Go Tell It on the Mountain, and His Girl Friday where he played journalist Jim. Meanwhile his TV credits include behind the scenes work on various television programs for the Science Channel, Netflix and HBO's "VINYL." Ron is a graduate of CUNY New City College of Technology and UCLA's School of Theater, Film and Television Professional Program in Screenwriting. He freelances as a multimedia technician for various organizations including corporate events, concerts, film festivals and experimental theater companies. Ron has extensive marketing experience and has also studied film in Japan. Ron is a member of the Society of Motion Picture and Television Engineers (SMPTE). Roxann Kraemer first had the privilege of appearing with Hudson Warehouse in the role of Arkadina in their 2011 production of The Seagull. She has since then appeared with Hudson Warehouse as Queen Elizabeth in Richard III, Kent in King Lear , Decius Brutus in Julius Caesar, Escalus in Measure for Measure, Paulina in The Winter's Tale, Mrs. Hardcastle in She Stoops to Conquer, Beatrice in Much Ado About Nothing, Leontine in The Triumph of Love, Hecuba in Trojan Women and Nurse in Romeo and Juliet. Ms. Kraemer has also appeared in a number of staged readings for Hudson Warehouse's acclaimed W.A.G.G and Shakespeare in the Bar series. Ms. Kraemer grew up in the small town of Plain, Wisconsin - population 688. She holds a Bachelor of Music and a Master of Music degrees in Vocal Performance from the University of Wisconsin School of Music in Madison. Ms. Kraemer was also a member of the acting program at Circle-in-the-Square in New York City. While pursuing her degrees at the University of Wisconsin School of Music, Ms. Kraemer appeared in a number of productions in the area including The Fantasticks, Celebration, The Threepenny Opera, Godspell, Ardele and The Matchmaker. She also performed in a number of operas and toured in the University's opera outreach program in Così fan Tutte and Le Nozze di Figaro. While at the University, Ms. Kraemer was also selected to be an apprentice artist with the Des Moines Metro Opera, working with distinguished coaches and conductors and appearing in mainstage productions of Tosca, The Ballad of Baby Doe and Lucia di Lammermoor. Ms. Kraemer's performances have allowed her to travel extensively throughout the United States. She has now appeared or travelled through all 50 states. Ms. Kraemer spent four years sailing the mighty waters of this great nation for the Delta Queen Steamboat Company where she performed in a vocal quartet and debuted her one woman show - Come Rain or Come Shine. Ms. Kraemer spent a semester as an artist-in-residence at Southern Arkansas University in Magnolia where she taught acting, voice, and additionally, coached and performed in their production of Nunsense. She has also worked as a teacher and coach for young actors at the Beginnings Workshop in New York. In addition to roles performed with Hudson Warehouse, some of Ms. Kraemer's favorite roles include Pam in Baby, Sr. Mary Amnesia in Nunsense, Delphinia in Babes in Toyland, and Amanda in For Whom the Southern Bell Tolls. Ms. Kraemer has filmed several plays for PATV's award-winning playwright's series in Great Neck, NY, including "Blind Date" and the sequel, "Blind Date: What Happened". "Blind Date" won 1st Place in the Northeast Region Video Festival for Arts and Theater - Professional Division. Ms. Kraemer is a member of Actor's Equity Association. Vince Phillip is a native Texan, born in Brownwood. As an Army Brat he travelled extensively through his youth and became heavily involved in theatre through the Creative & Performing Arts Branch of the Morale Support Activities Division of the military in Ft Carson, Colorado and the Berlin Brigade in Berlin, Germany. 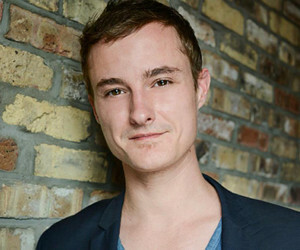 Upon his graduation from high school in Berlin, he attended The University of Texas at Austin where received his Bachelor of Fine Arts in theatre. Mr. Phillip then relocated to Dallas, Texas where, along with working freelance in theatre and film, accepted the position of company member and business manager for The Gryphon Players, a classical theatre company. Mr. Phillip later joined Actors Equity Association doing summer Shakespeare in Fort Worth and then packed up his '92 Harley-Davidson and moved to New York City. Once in New York he accepted the position of company member and business manager for the theatre group TheatreRats, Inc. and held that position for four years. 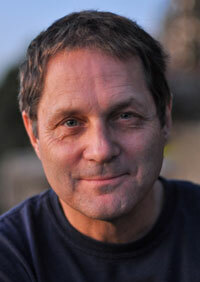 Mr. Phillip has since done numerous projects in theatre and independent film. For the Warehouse, Mr. Phillip has appeared as Le Bret in Cyrano and Montague in Romeo and Juliet in their summer 2010 productions.